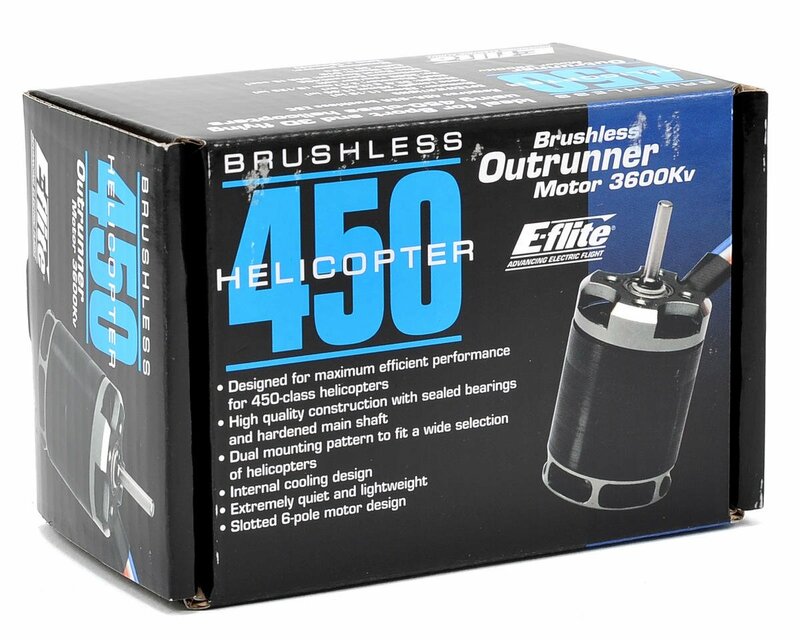 This is the E-flite 3600kV, 450 Class Brushless Outrunner Helicopter Motor. E-flite High-Performance Heli Motors are specially designed for maximum efficiency and high performance, making them an excellent choice for both sport and 3D flying. 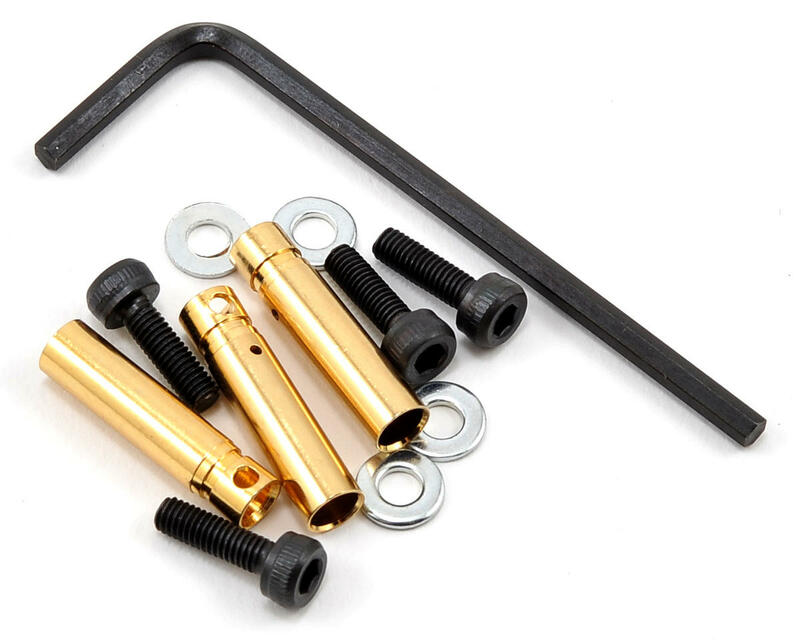 Each is constructed with high-quality sealed bearings, a hardened main shaft and an integrated air flow cooling system to promote long life. 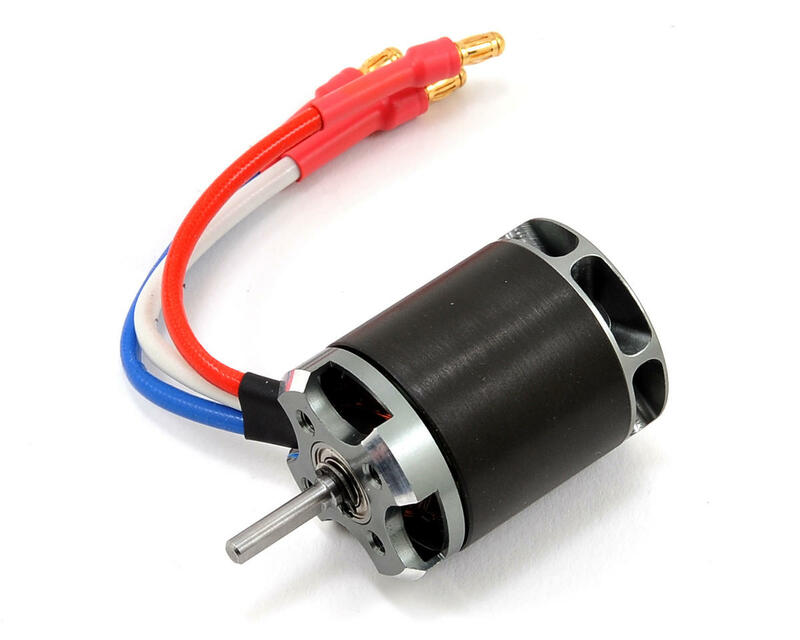 These extremely quiet and lightweight motors also feature two hardware mount locations to fit a wide selection of helicopters and make installation easy.